Moe Creations: Guest Designer for Scrappy Moms Stamp Release Day 2!!! Guest Designer for Scrappy Moms Stamp Release Day 2!!! Today is my second day as Guest Designer with Scrappy Mom's stamps, I had heard that her stamps are amazing and they truly are. Here is another card I made, this time I am using her Countless Occasion stamp set. 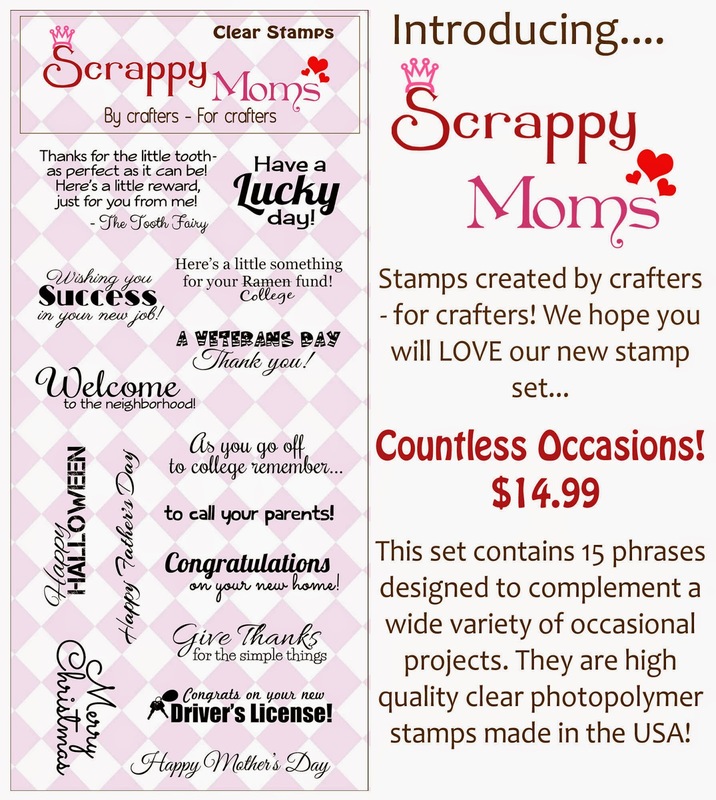 If you have not had the chance to experience these wonderful stamps, then make your way over to Scrappy Mom's and pick up yours! I hope you have enjoyed my card!! !